I’ve just finished my cousin, Martin Greenfield’s book “The Measure of a Man.” It is the story of an amazing life. 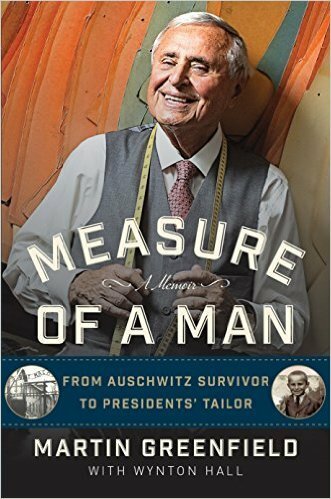 From surviving Auschwitz and Buchenwald concentration camps to becoming suit maker to world leaders. American Presidents including Truman, Eisenhower, Busch, Clinton and Obama are all dressed by Martin. Presidential hopefuls including Bloomberg, Collin Powell and The Donald are among his customers. As a selling professional, “Salesmanship in Action” would be my subtitle. Martin is a great story teller — and an amazing salesman. Written from the most personal perspective, you won’t be able to put it down. Growing up on Long Island in NY, my Dad would take me to Brooklyn when he had his suits made by Martin. As a young American boy, I remember the rows of workers in the factory. Many of the workers had numbers tattooed on their arms from the concentration camps. Martin would stop at the workstations of the hundreds of workers. He’d make small talk in Yiddush and introduce my Dad to them. Every Passover Seder we would go to Martin and Arlene’s home. We all knew the story of how Martin, the orphan, had arrived in the US after the Second World War. And how he had become a master clothier for some of the world’s most successful men. Yet, we were forbidden to ask Martin about the number on his arm. 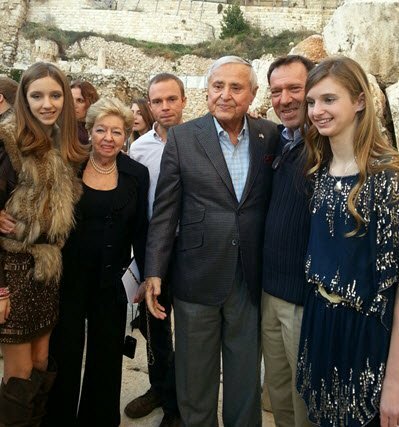 I was with Martin in Jerusalem two years ago. I saw how Martin, at 83, is still a vigorous and persuasive salesman. We went to the Great Synagogue together on Saturday morning. Within 20 minutes, Martin had met and was invited to a meal with some of Jerusalem’s most successful men. No pressure, just pure charm and warmth — and never having met any of them. Of course, he told me later, some of those men ended up wearing Martin Greenfield suits.